Welcome back to Screenshot Saturday! 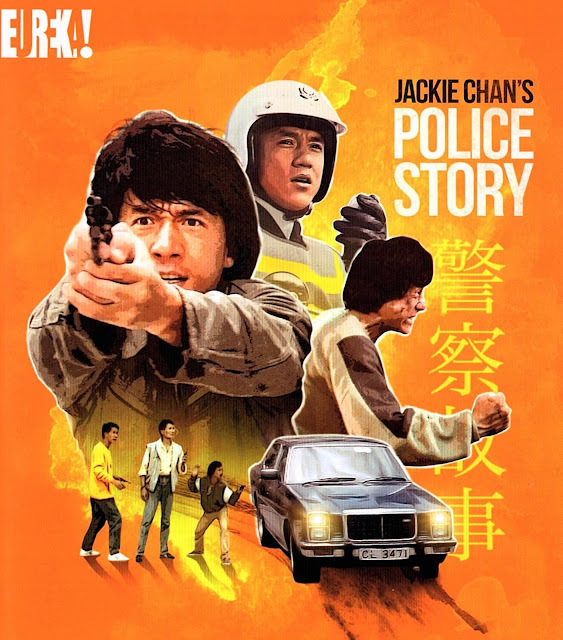 This week we are looking at Police Story, directed by, written by, and starring Jackie Chan. The film was a huge hit in Hong Kong and cemented Chan's place as one of the best action directors of all time. The film would make it's way to U.S. shores in the 90's under the alternate title of Police Force, probably to avoid audiences confusing the film with the 70's tv drama of the same name. The rights holder for the film, Fortune Star, have not been kind to the film over the years. Up until this release, almost every one of Police Story's home video releases has been ugly and plain. When the film hit blu-ray in 2009, it looked even worse than the dvds that came before it. This release made the film look worse than a Youtube video of the same film. With this new 4K transfer the film looks like it has never looked before. Everything here is an upgrade from previous releases. This is a beautiful looking blu-ray and a must have for fans of Chan and martial arts film in general.